The Digital Collections site gives access to archives of publications that are published by BIBIANA on a periodic basis. They are in PDF format and cover the complete historical series from the first issue to the most recent one of the respective events. BIBIANA Revue Archive - the revue is a specialized periodical, unique in Slovakia, with focus on literature and art for children and youth. It offers evaluations, studies, essays, reviews and interviews with authors and is intended primarily for students, teachers and librarians and also for all who work with children readers. It has been published quarterly since 1993 as a continuation of the Czechoslovak Zlatý máj journal (except for 1998). Archive of BIB Symposia Miscellanies – the miscellanies include papers presented at the international symposia organized under the Biennial of Illustrations Bratislava (since 1967 to the present, except for 1993). Each issue of the symposium is focused on a specific topic in the area of theory and history of art and illustration of literature for children and youth. The miscellanies are published in a biennial interval by the organizer of the symposium (The Slovak National Gallery in 1967-1987 and by BIBIANA since 1989). The papers are available in both Slovak and English versions. Catalogue Archive of The Most Beautiful Books of Slovakia Competition – the annual catalogue presents the outcomes of the each run of the competition. There are detailed introductions of the winning books that made it to each year‘s collection, selected by the expert jury. In addition to descriptive information about the books (authors, designers, publishers, printers, paper, binding, number of copies) the catalogues also include an introduction in several languages, a list of awards, a register of the winning entities and pictorial materials. The catalogue has been published by BIBIANA as the chief organizer of the competition on an annual basis since 1993. 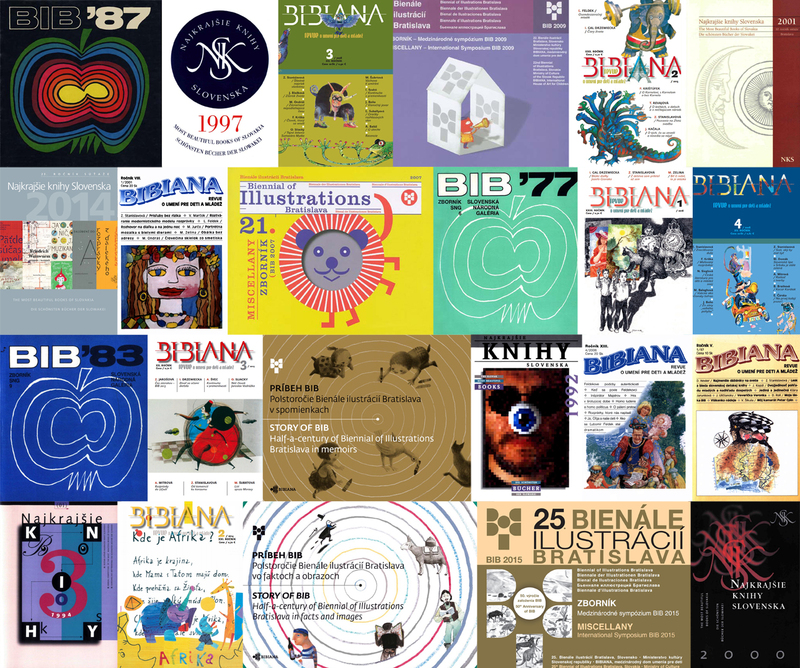 Besides the above-noted periodical publications the archives include two publications by BIBIANA to mark the 50th anniversary of the Biennial of Illustrations Bratislava (BIB). BIB Story I – A Half-Century of the Biennial of Illustrations Bratislava in Memories brings interesting recollections, memories and comments by persons who lived the history of BIB – by the winners, symposia participants and jurors. BIB Story II – A Half-Century of the Biennial of Illustrations Bratislava in Facts and Pictures is a comprehensive guide to the history of the 25 editions of BIB (as a chronological series, with data and photographs covering each BIB and their juries, symposia, workshops, and a complete list of awards, including the wining authors and the artwork with images).